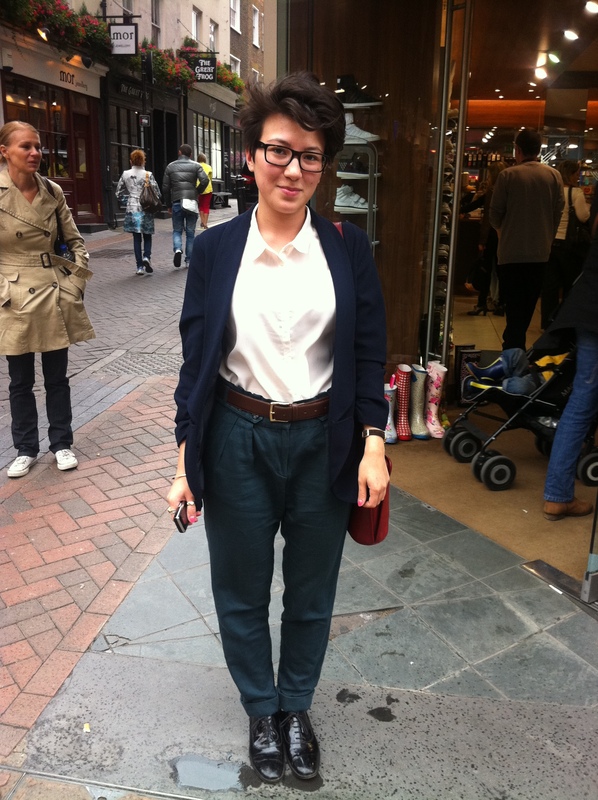 STYLE STALKING: CARNABY STREET ANDROGYNY CRUSH!! So I was doing some much-needed pick-ups for a shoot I had coming up, and i bumped into this ever so stylish girl.. English heritage ‘EAT YOUR HEART OUT’! 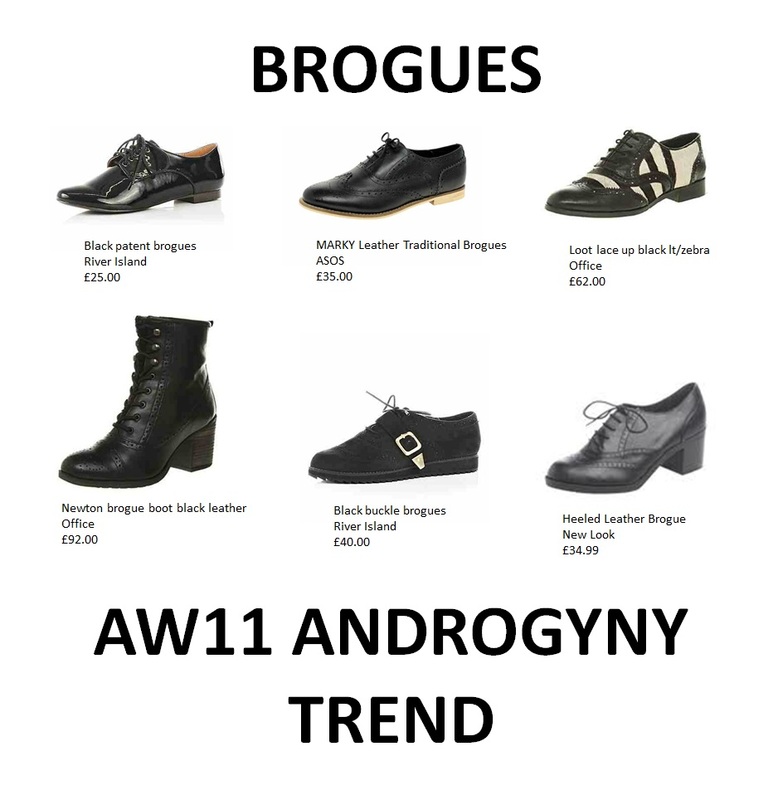 The androgyny trend is MASSIVE this season!! and I loved her outfit head to toe!! She was rocking some of our favourite High Street brands; Urban outfitters (jacket & shirt), Topshop (trousers) and Hobbs (brogues). Her bag was vintage of course *grin* and she had the most goooorgeous gold jewellery on which was also vintage! I love how this outfit can be recreated with such ease… A boyfriend blazer has been a must have in your wardrobe for a few seasons now! so pair yours with a simple shirt and some ankle scraper trousers, tailored harems or even some cute Chino’s. But make sure yo head into your nearest store to find the perfect pair of brogues!! Previous Post LIPSY & PIXIE LOTT AW11 PRESS DAY!! Next Post STYLIST BIBLE: WORKING AS A FASHION STYLIST.. YOUR QUESTIONS ANSWERED! An individual’s content grabbed this desire from the very beginning. Your content articles are exactly that participating. I just like your views on this niche as well as your posting.